Teck Guan Steel Sdn Bhd is a wholly owed subsidiary of Teck Guan Group, which is a Malaysian based conglomerate with a long history stretching back to the 1930s. Teck Guan Steel Sdn Bhd is the first welded steel fabric manufacturer in Sabah to be awarded with the prestigious MS ISO 9001:2000 Quality Management Systems Certificate. Our corporate policy of "Achieving Customer Satisfaction through Quality TGS Products and Services" makes no compromises. 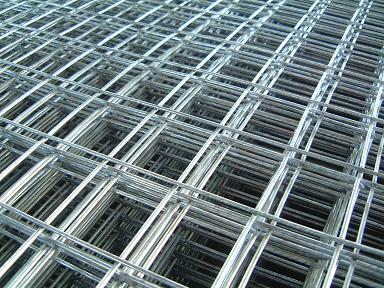 We produce high quality Metal Roofing Products, Welded Wire Mesh in roll and sheet form, and other wire products and for the building and construction industries. 2005 Teck Guan Holdings All rights reserved. P.O.Box 33, 91007 Tawau, Sabah. Roofing Products of various profiles produced by Teck Guan Steel Sdn Bhd can be categorised under G. I. Batten 6110, Baseline VI, Basespan, Euro-tile Bastile, Curveline and Curvespan, and C and Z Purlins & we carry a wide colour range. Teck Guan Steel produces high quality Welded Wire Fabric in both roll and sheet form for the reinforcement of concrete in the construction industry of commercial, industrial and residential sectors. These products are manufactured according to BS4483:1985 or MS 144:2001, MS145:2001 Standard Specifications to achieve quality results for the reinforcement of concrete. Our fabric is ideal for use for all types of building designs. 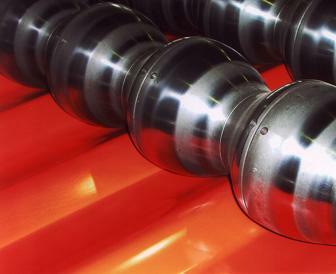 These products be produced according to customer specifications (width, length, spacing, etc) in order to suit the specific requirements of each project so that the maximum benefits and cost savings are gained. They can be also be bent into different shapes for the construction and reinforcement of retaining walls, manholes, box culverts, drainage system, etc. We also produce high quality Welded Wire Fabric in both roll and sheet form for the agriculture industry. 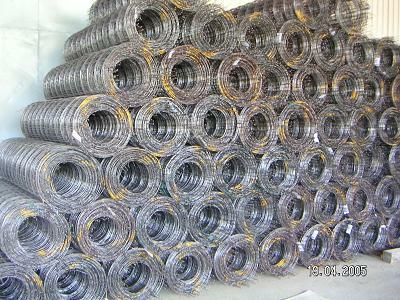 Other quality products produced are Hard-drawn Wire, C Q Bar, round bar, Chain Link Fencing, Barbed Wire, and Fabric Wire Mesh. Teck Guan Group is well-known for its quality and reliability in products and services. Its well-established wide distribution network enables it to provide timely deliveries, thereby allowing its customers to achieve savings in both time and costs. 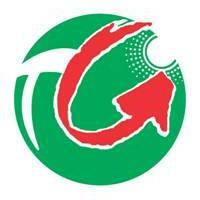 Our products are marketed by Teck Guan Trading Sdn Bhd member of Teck Guan Group as the sole distributor.